Humans are basically dual in nature. Our core is made up of light and darkness. But one seeks a home, a place where they feel they must be. This place is within, in the heart center. And you are the whole! We are used to seeing light and darkness as 2 separate things that go against each other, forever at war, one must destroy the other. But this point of view is just our human narrative trying to explain to ourselves these 2 elements. 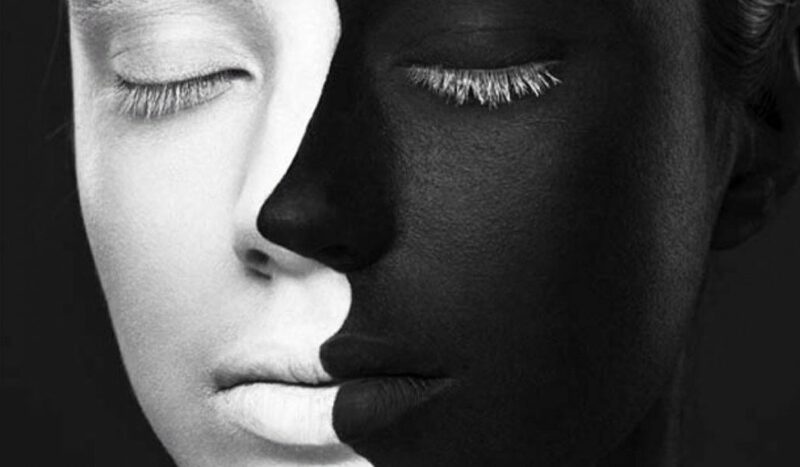 We fail to realize that these 2 sides, or light and darkness as we call them, are 2 elements of the same thing. They don’t compete with each other, they do what they supposed to do so the thing they are a part of can thrive! For us, the purpose of each of them seems so contradictory to the other that we can’t help but think they are at war. But that’s just what our dualistic point of view sees. That’s like saying that a night and a day are at war. Both of these occurrences happen so life can thrive on Earth. We are conditioned for duality! We’re conditioned to choose between good and bad, love and hate, better and worse, winning and losing, bigger and lesser, success and failure, etc. etc. This mind conditioning becomes the seat of our consciousness and cycles into the victim and perpetrator mindset. This mindset is aggressively obsessed with what is the moral high ground versus what is immoral. We follow a morally correct path over what it is perceived to be immoral without even considering the place where our actions are coming from. And sooner or later, what we perceive as moral promotes negative results that lead to immoral activity. This happens because we focus too much on not being immoral rather than the reason and intent behind our actions. We care more about looking moral in eyes of others, or before a higher entity, than the intent behind what we do. Of course, we are not suggesting immoral behavior, but a deeper examination before we judge. And yeah, not all of us have time to dive deeply behind someone’s actions, but if we didn’t live in such dualistic system that’s integrated EVERYWHERE in society, we wouldn’t have to. The system that is not based on duality will prevent future immoral actions from happening itself, by not letting others be pushed that far in the first place. The dualistic system of society, and society itself is what drives many people to make immoral actions, not that this is an excuse because they are still weak in character. As a result, we don’t really improve as society, we just try to look improved and blame others who don’t fit that description not realizing that most of our actions are what created the actions of the ones we blame. 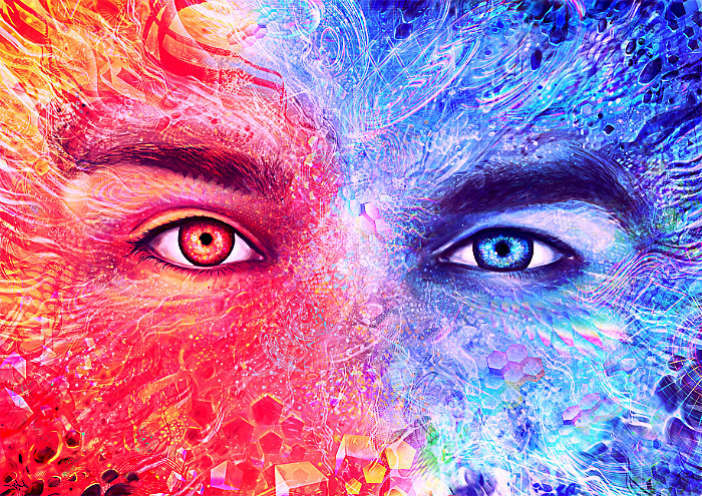 How to merge your duality into oneness? Within the framework of victim and perpetrator mindset, the two energies of light and darkness could never be integrated into one. 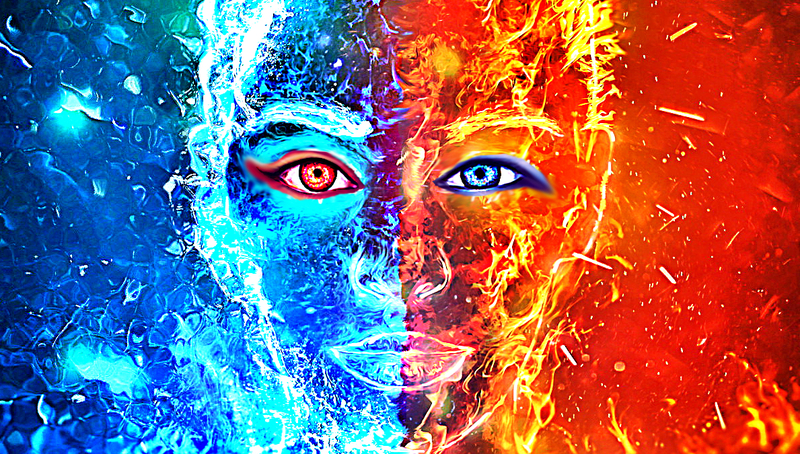 The human interpreter separates them through fragmentation and is unable to see them as one and of the same energy, because what they perceive is either positive or negative. People don’t realize that both sides are there to serve the whole. So, for example, one would think of fear as bad and have negative emotions whenever they feel it. They would not realize that fear is there to let you know what is possibly dangerous so you will rationally think of a safety plan. And they would run away from fear not realizing that they are running exactly towards what they are afraid of. So as a result, feelings like guilt, anger, envy, resentment, and anxiety are accumulated in their being. This creates dys-function in the body and in the relationships people have. These accumulated negative emotions we run away from dealing with can promote further disharmony and disbalance creating various diseases. One example is Cancer which thrives on guilt, resentment, and anger. But when the interpreter starts to align with both the light and the dark energies as one, the filters dissolve along with the right and wrong paradigm, and the victim and perpetrator mindset disappear. The DNA field starts to change and allows the greater percentage of it to be activated. Research has shown that in the presence of negative emotions the DNA tightens while when you are more relaxed the coils of your DNA relax too. The vibration instantly changes and no longer allows any disbalance within the body and the external relationships that are dominated by right or wrong framework. Changes in everything take place, such as in the body, relationships, view of other people, view of the world, and above all, the love of self. One is no longer preoccupied with thoughts of past pain and future anxiety that are prevailing in right and wrong paradigm. There’s an increase in self-worth as well as an escalation of authenticity. – You start noticing high amount of synchronicities. – You get along in all relationships. – You’re able to easily connect with others without the need of imposing. – You find kindness and cooperation in places where antagonism and confrontation once thrive. – You see the benevolence in everyone and everything without the need to highlight what’s wrong in the world. – You look for problems and solutions inside and not outside. – Your lifestyle becomes more relaxed and easygoing. – Much of your ego driven desires dissolve, things you thought you always wanted to do suddenly feel pointless. This could leave you with a sense of confusion, even emptiness. – You are completely ok with your darkness, you are not hiding nor being controlled by it. – Movies, music and other drama infused media is no longer appealing to you, it might be even funny. – You start appreciating nature a lot more, you are amazed by the perfect balance that is integrated inside. – You are not against technology, but you see it as something that could be tweaked to become a part of nature and not another system that harms it. – You suddenly get huge chunks of information and understanding about different things, your mind starts racing connecting different things all at once, and it might produce anxiety or even mild panic in some cases. – You start forgiving people easily, you don’t hate, you might even think there’s something wrong with you that you don’t hate others who might want to harm you.